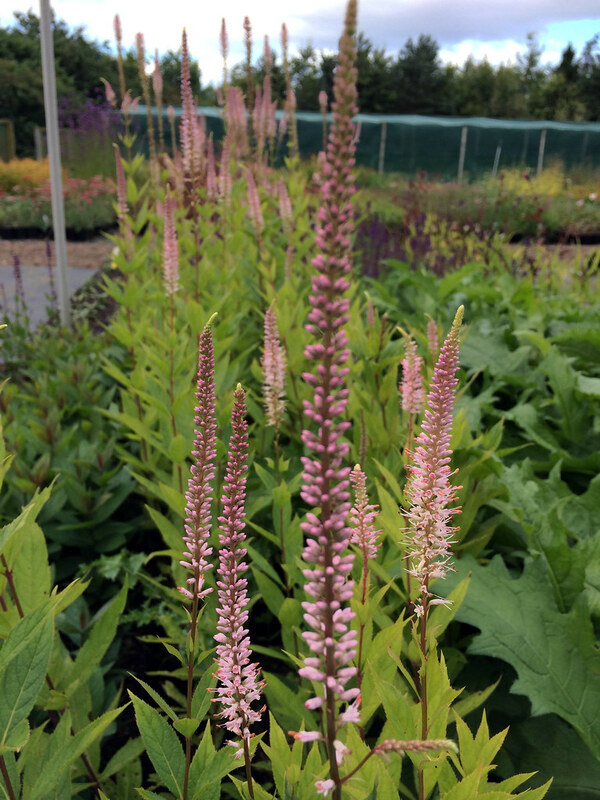 A tall clump-forming perennial with branching spires of soft pink flowers above whorls of deep green leaves. Smaller, branching, lateral flower spikes also occur when in full bloom. Jul-Sep. H150cm S60cm.